The Supreme Court yesterday vacated its stay on the 18- year-old disproportionate asserts case regarding Rs. 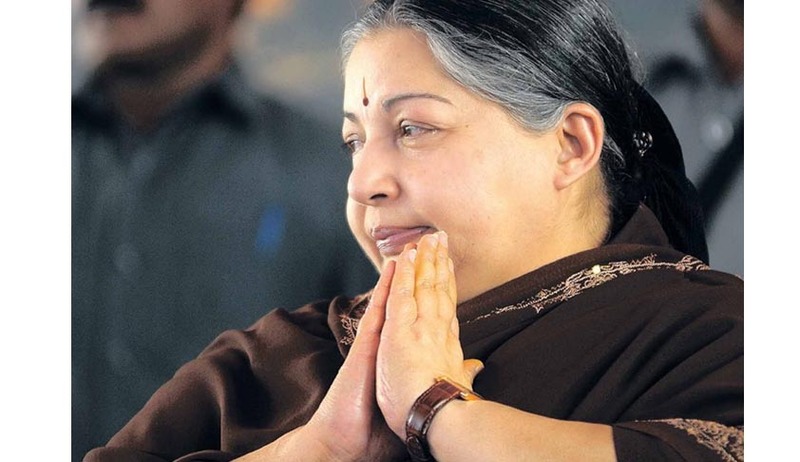 66.65 crore accumulated during her tenure as the Tamil Nadu Chief Minister between 1991 and 1996. The Supreme Court was approached by the Special Public Prosecutor, after his plea being dismissed by the Karnataka High Court against the trial court’s order which imposed a penalty of Rs 60,000 a day for seeking repeated adjournments in the trial and delaying the process. This amount was fixed by the trial court based on the fees paid by the State Government to the SPP for conducting the trial. The day to day trial was stayed for three weeks because the Special Public Prosecutor, G Bhawani Singh had to undergo medical treatment, giving him time for recovery. Confirmation of such recovery by Senior Advocate L Nageshwar Rao, appearing for SPP enabled the Bench, comprising of Justices B S Chauhan and J Chalameswar, to order resumption of trial. To realize the goal of a free and fair trial, the case was transferred from Chennai to Bangalore in 2003 during Jayalalithaa’s previous tenure as Chief Minister. Three other accussed in the case are Sasikala, Ilavarasi and V N Sudhakaran. In September last year, the apex court had quashed the decision of the Congress led Karnataka Government to do away with the SPP. It reasoned that it was a “malafide” decision, prompted by the “switch over” of the Government in the State, since he was selected during the tenure of the BJP Government in the State. This case has been successfully delayed for 17 years now, filing several petitions making numerous demands. The position of the SPP has been controversial even in the past, with the SPP appointed by the SC, B.V. Acharya resigning abruptly. He tendered his resignation to the Chief Justice of the Karnataka High Court stating that 'he had suffered at the hands of interested parties who wanted him to quit'. His resignation was not accepted by the then Karnataka CJ Vikramjit Sen but was accepted immediately by his successor Justice Rao. In yet another surprising event, when the government of Karnataka withdrew the appointment of Singh as the SPP, Jayalalithaa was quick to challenge the withdrawal. Choosing one’s own prosecutor or judge is something unprecedented in the Indian legal history. The Court’s move to speed up the process and lift the stay is a welcome move in order to tackle corruption effectively in the corridors of power.